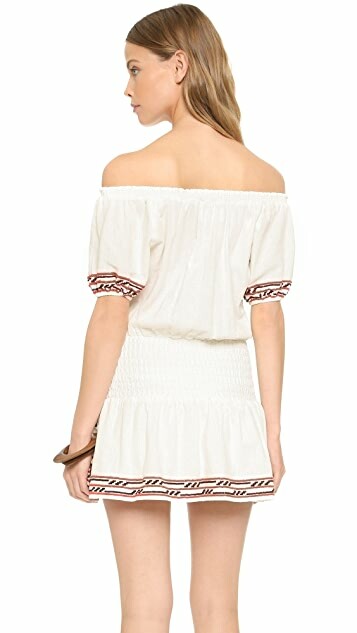 A charming, off-shoulder Piper mini dress with contrast embroidery. Smocked elastic waist and neckline. 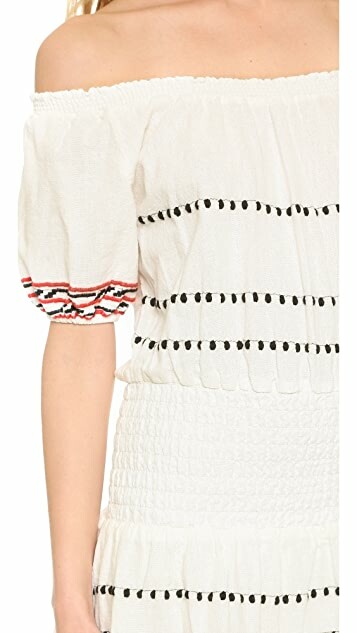 Short sleeves with elastic cuffs. Unlined.